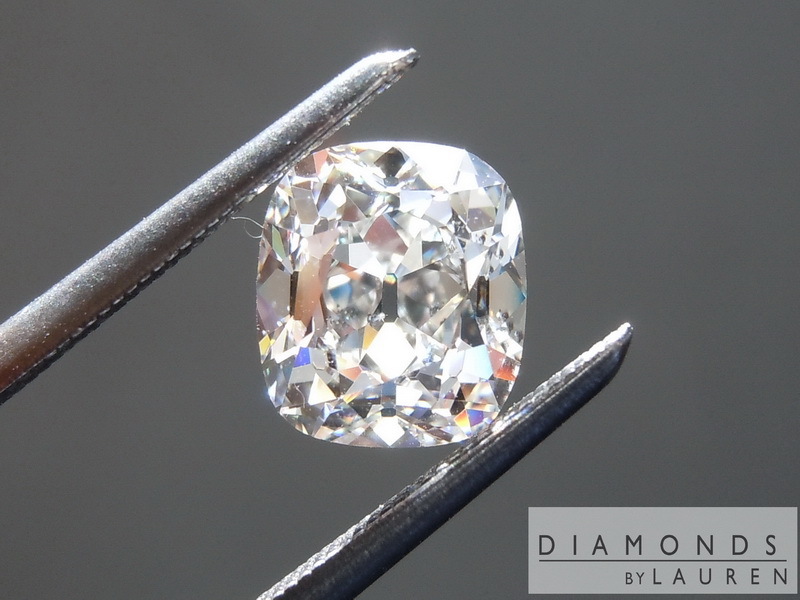 Antique Diamonds are hot. People love them for the look. Large chunky flashes coming back to your eye. Lot's of scintillation and fire. 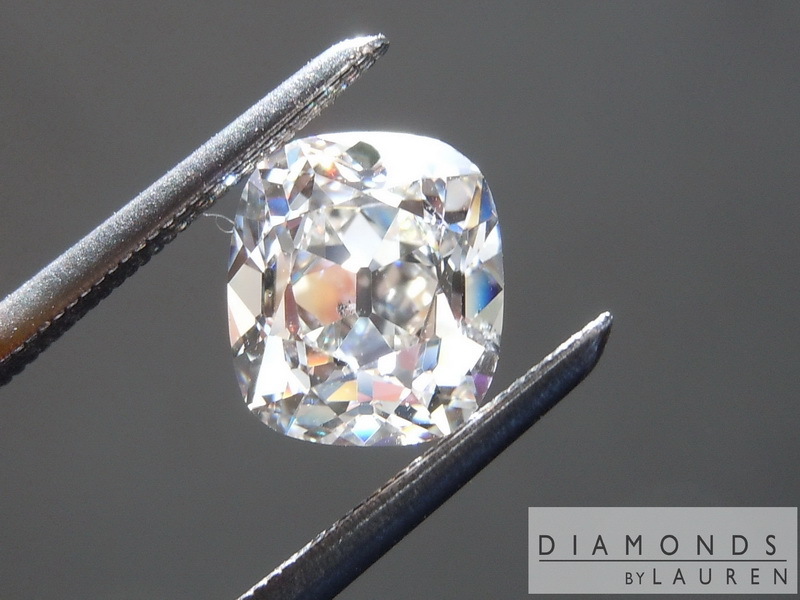 We could argue that modern diamonds are more brilliant- but that totally misses the point. It is the personality of stones like this that make them so desirable. 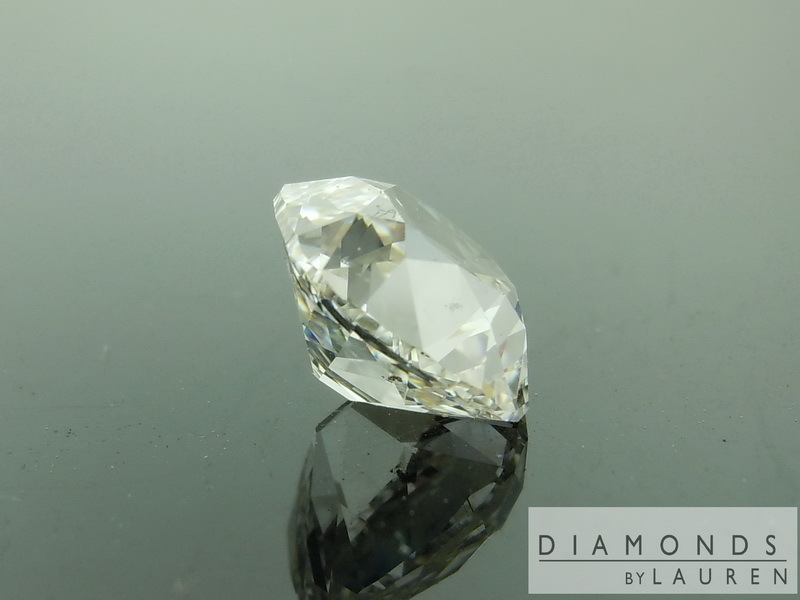 There's problematic aspects of antique diamonds. 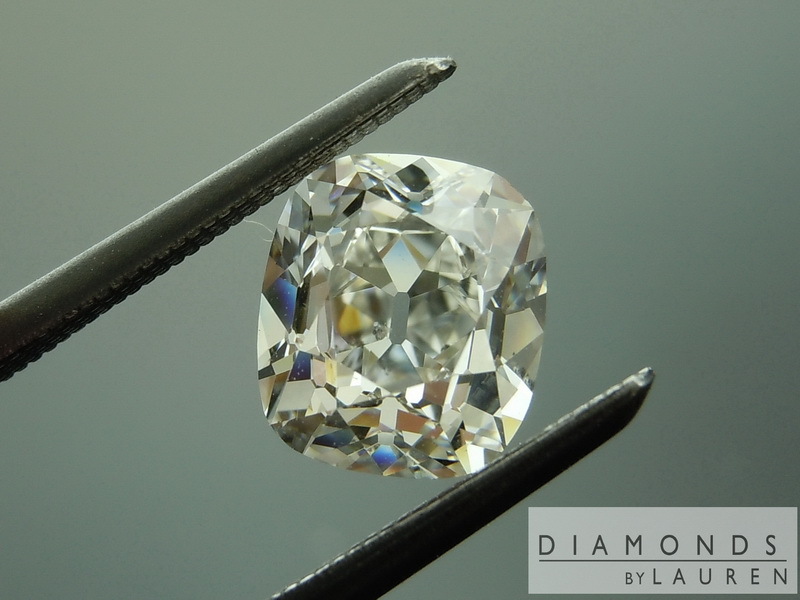 For example, many antique stones have been damaged over the years- so they may have abrasions or chips. 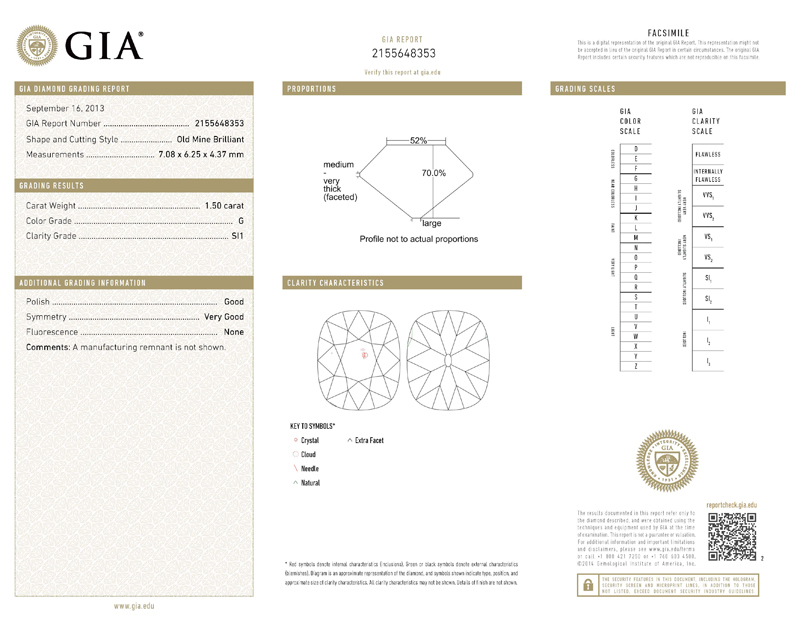 Then we have the fact that although the general personality traits are there- many older diamonds are asymmetrical- which is a bother to some buyers. Another limitation is supply. 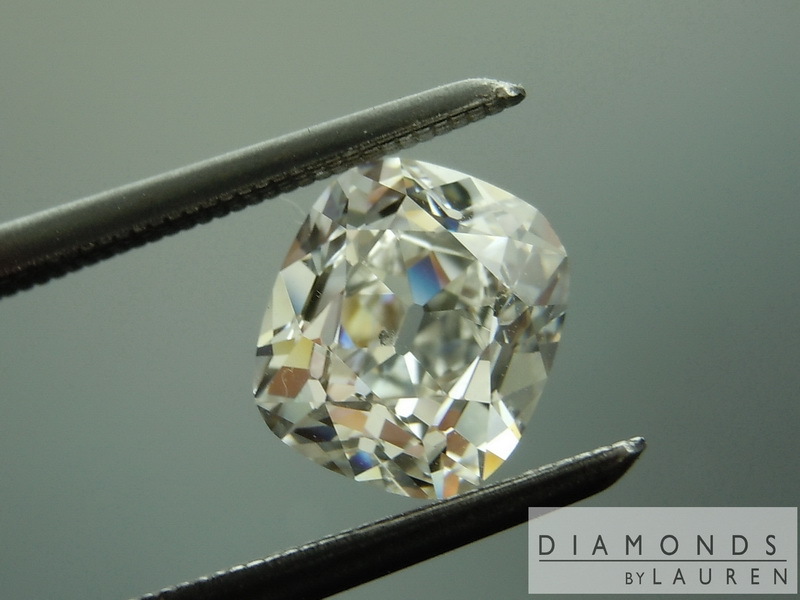 With true antique stones, you can't find a variety of color/clarity and sizes. 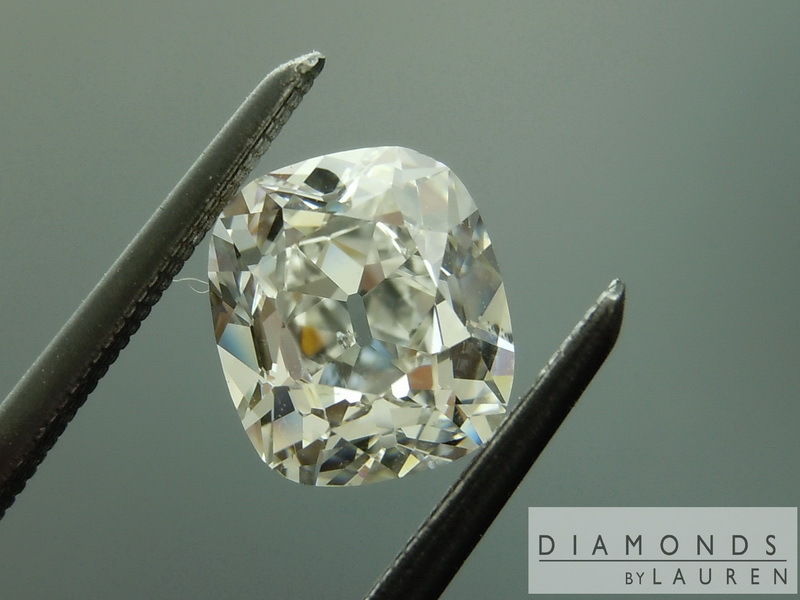 So we've teamed up with a few specialist cutters that recreate the lod diamonds using new rough. This is such a stone. 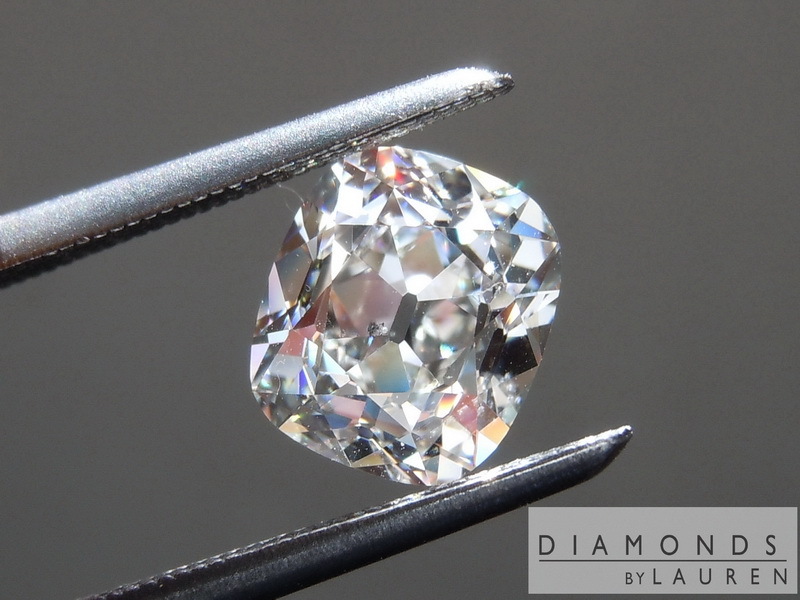 I can't tell you how much I love the cut on this particular diamond. It's got all the glitter- and plenty of fire. It also has a lot of size for the weight. Lovely G color- it looks colorless. 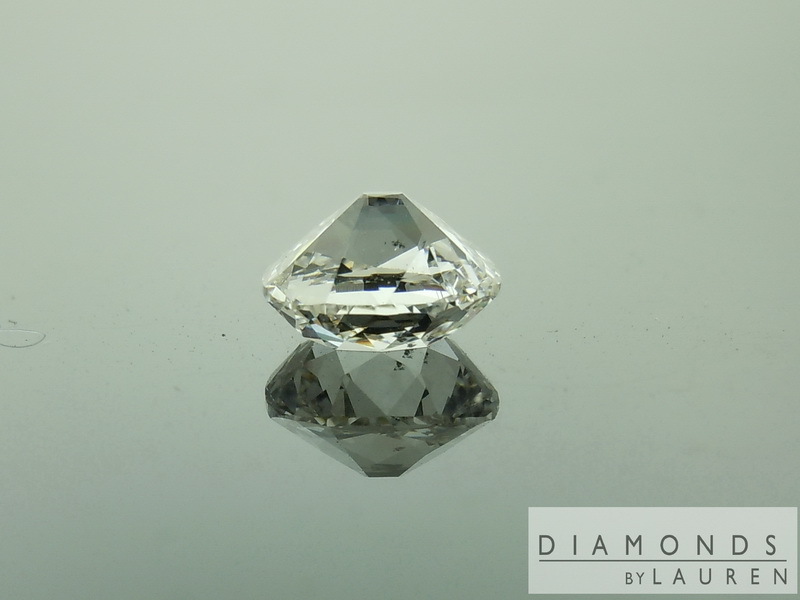 It is an SI1, and I can see the crystal in the pictures. I cannot say it would be impossible to pick it out naked eye (although I can not), but the sharpest eyes among us might be able to pick it out. Even if they could, it's so tiny in real life that there's really no effect on brilliance or beauty. Plus, as an SI1, it's got a great price. 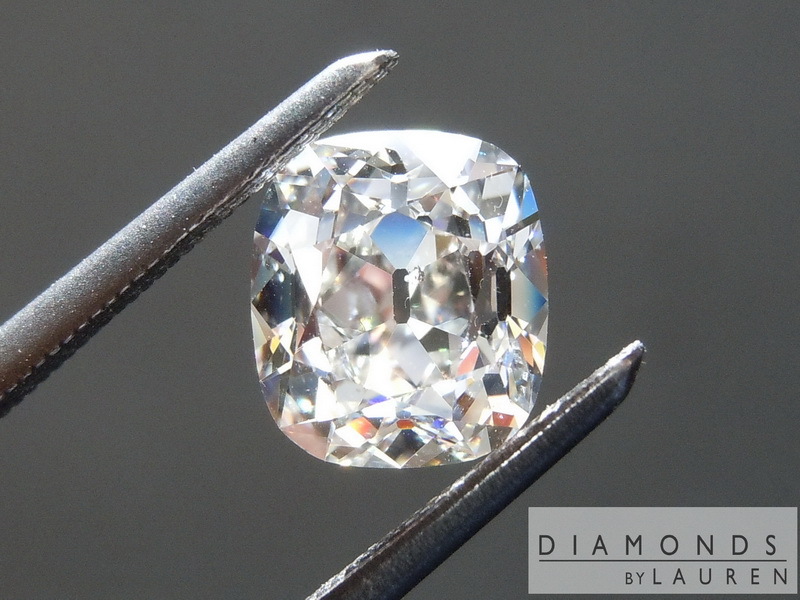 We have the best settings for a stone like this! Delicate halo, I'd think., But of course that part is up to you. You tell us what you want, and we'll make it!